I am trying to make a variable output. I have connected the negative lead to the negative output and have wired the positive to the potentiometer. My setup is the input on the outer pin and output on the center pin. I have nothing wired to the other outer pin and when i measure the voltage with a multimeter while rotating the pot, it reads as the vcc voltage. What am i doing wrong? Do I need an IC for this to control voltage? I am a rookie lol... and what is the difference between 10k and 4.7k? 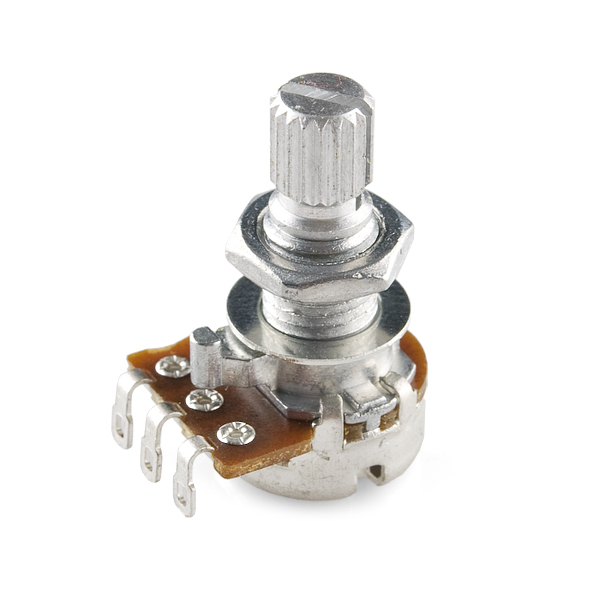 How do I know what potentiometer to get? 10k ohm, 4.7k ohm? quick question, i want to use this as an input to the arduino, just to give me numbers to control the threshold of a sensor, should i use this one or the 10k? 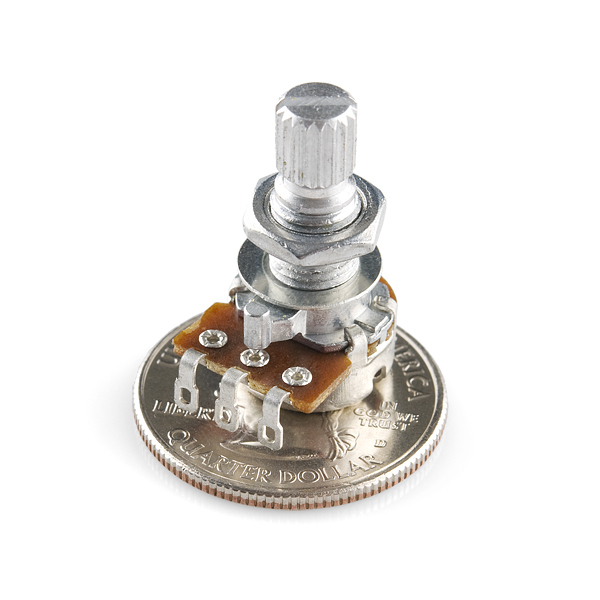 Can someone confirm that the Potentiometer Knob (COM-08828) related below does fit these new pots? In the comments it mentions a cutout for locating and it appears these new pots don't have that. 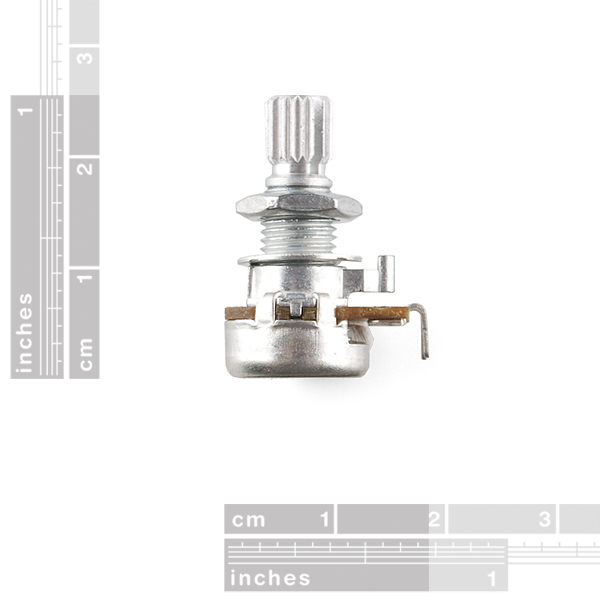 there are many new knobs available: COM-10001 take a look at the bottom of that product page for more. Other commenters have said the friction-fit knob relies on a D-shaped pot shaft. These don't have that.